ඔටිසම් දරුවන් රැකබලාගන්නා දිගුකාලීන වැඩසටහනක් ශ්‍රි ලංකාවට අවශ්‍යවන්නේ ඇයි ? ගෝලීය ජනගහනයෙන් සියයට දෙකක් පමණ ජනගහනයක් ඔටිසම් රෝගයෙන් (ASD) පෙළති. නිශ්චිතම සංඛ්‍යාවක් ගණනය කොට පෙන්විය නොහැකි වුවද ලොව පුරා මිලියන ගණනක් ජනතාව ඔටිසම් හේතුවෙන් පීඩා විදිති. ලංකාවේ ගත් කළ දස දහස් හෝ සිය දහස් ගණනක් ජනතාව ඔටිසම් ආබාධ සහිතය. 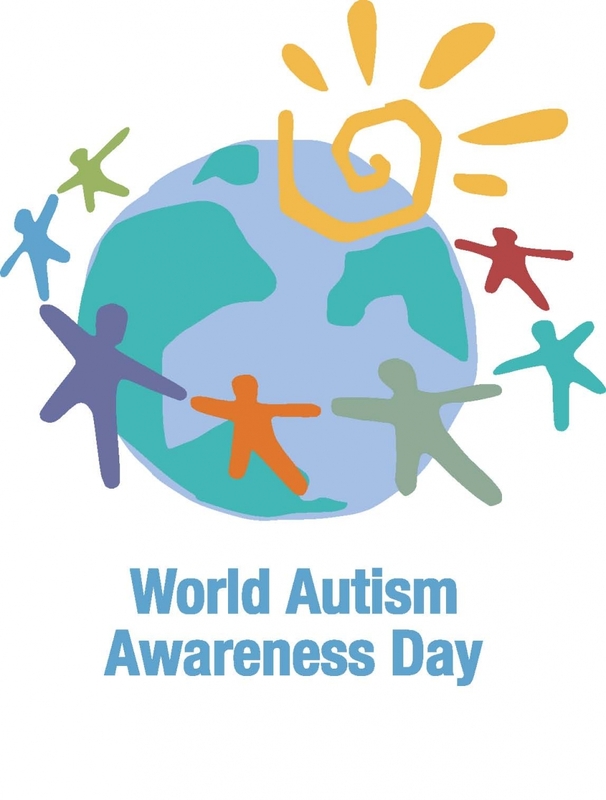 Up to 2% of the global population have Autism Spectrum Disorder (ASD). The exact number is hard to pinpoint, but millions of people are affected world-wide, tens or hundreds of thousands in Sri Lanka alone. Awareness of ASD is slowly rising in the country, but there is much work to be done, and critical blind spots remain. One of them is that almost every existing support for autistic people--early detection, therapy, facilities--is designed with children in mind: but it is necessary to look further and think on the scale of entire lifespans. වදවී යාමේ තර්ජනයට ලක්ව තිබෙන වනසතුන් හා පැලෑටිවල ජාත්යන්තර වෙළදාම පිළිබද සම්මුතියේ (CITES) 18 වැනි සමුළුව 2019 මැයි 23 වැනිදා කොළඹදී පැවැත්වෙයි. Three landmark global agendas were produced in 2015: the Paris Agreement, the Sustainable Development Goals (SDGs) within the framework of the 2030 Agenda for Sustainable Development, and the Sendai Framework for Disaster Risk Reduction 2015–2030. 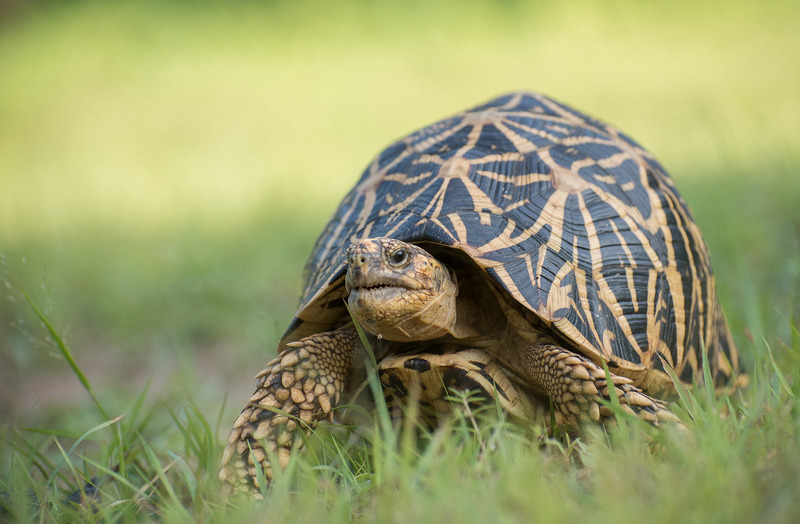 May 23rd, 2019, the 18th Conference ofthe Parties to the Convention on International Trade in Endangered Species ofWild Fauna and Flora (CITES) will come to Sri Lanka. 3,000 delegates willarrive from all over the globe to discuss the next steps in combatting wildlifetrafficking and the poaching of endangered species. From pangolins to elephants, from tropical timber to birds and snakes: Wildlife trafficking is one of the largest illegal global trade sectors and generates billions of USD per year. Since 1975, the Convention on International Trade in Endangered Species of Wild Fauna and Flora (CITES) provides a framework for the sustainable trade of wildlife and ecosystem products. ගෝලීය අභියෝග සදහා නවෝත්පාදනය හා ව්යාවසායකත්වය. ගෝලීය අභියෝගවලට මුහුණදීමේ නවෝත්පාදන සහ ව්යවසායකත්වයමැයෙන් දේශගුණ විපර්යාස පිළිබද තරුණ සංසදයේ දෙවැනි අදියරේ වැඩමුළුව ශ්රි ලංකාපුවත්පත් ආයතනයේ ස්ලයිකැන් ශ්රවණාගාරයේදී පසුගියදා (09) පැවැත්විණි. The city of Colombo is the capital of Sri Lanka and its economic, political, and cultural focal point. Since October 2018, it is also South Asia's only Wetland City under the Ramsar Convention. 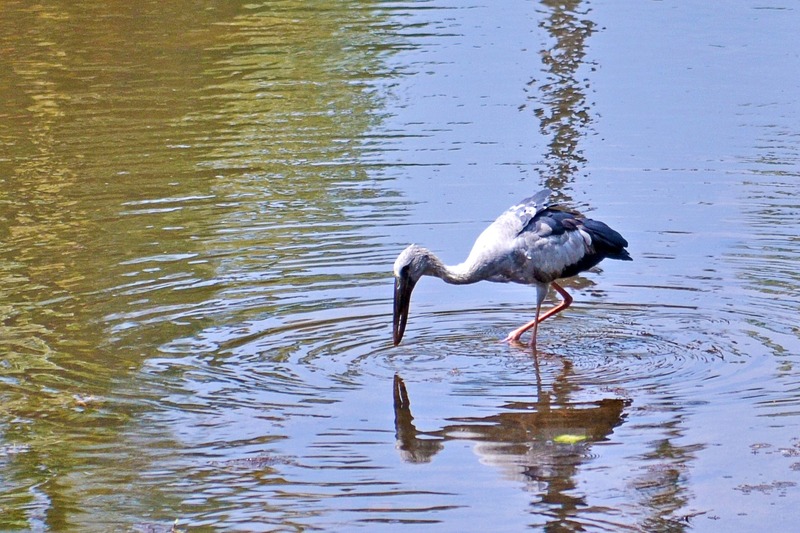 With concerted efforts from government, communities, and all affected stakeholders, this opens the way for Colombo to become a model for urban wetland conservation and benefit from the many ecosystem services they offer. 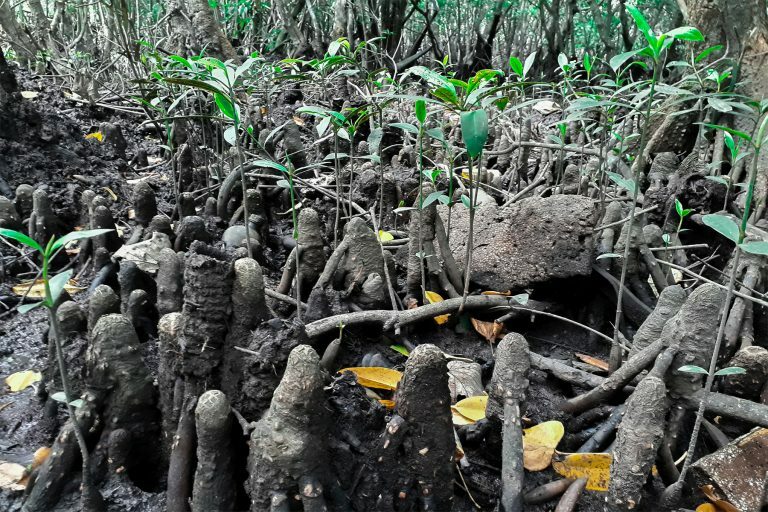 On the border between land and sea, a unique ecosystem covers tropical and subtropical regions around the world: Mangrove forests. Mangroves are well adapted to saline water and the tides, and they thrive along the coastlines of over 118 countries, including Sri Lanka. They offer a wide variety of ecosystem services, provide a sheltered habitat for many species of animals, and are vital allies in the fight against climate change. Youth engagement in developing solutions to address global challenges is a vital component in achieving success. Addressing this need, stage II of the Youth Forum on Climate Change focused on providing capacity building and support on how youth could effectively engage in developing solutions to global challenges such as environment, energy, education, poverty, health. තාරුණ්‍යයේ මැදිහත්වීම ඔස්සේ ගෝලීය අභියෝගතාහදුනාගනිමින් ඊට සාර්ථක විසදුම් කරා ළගාවන දේශගුණ විපර්යාස පිළිබද තරුණ සංසදයේ දෙවැනිඅදියර කොළඹ ව්‍යාපාර කළමණාකරන පාසලේදී පසුගිය 29 වැනිදා පැවැත්විණි.පරිසර, බලශක්ති, සෞඛ්‍ය සහ දරිද්‍රතාව ඇතුළුගෝලීය අභියෝග ජයගැනීම සදහා තාරුණ්‍ය ඵලදායී ලෙස යොදා ගැනීම සහ ඊට අවශ්‍යය කාර්යක්ෂමහැකියාවන් වැඩිදියුණු කිරීමේ අරමුණ ඇතිව මෙම සැසිය ස්ලැයිකැන් භාරය සංවිධානය කර තිබිණි. வெற்றியை அடைவதற்கு உலக சவால்களை ,முகம்கொடுத்து அதற்கான தீர்வுகளை அபிவிருத்தி செய்து அதில் வெற்றியை அடைவதற்கு இளைஞர்களின் பங்களிப்பு மிகவும் முக்கியமானதாகும். දේශගුණික විපර්යාස ආරක්ෂාවට තර්ජනයක් බව එක්සත් ජාතින්ගේ ආරක්ෂක කවුන්සලයේදී පසුගියදා ප්රකාශයට පත්වී ඇත. ජර්මන් විදේශ කටයුතු අමාත්ය හෙයිකො මාස් පසුගියආරක්ෂක කවුන්සලයේදී මේ බව අවධාරණය කර තිබේ.ලෝක සාමය සම්බන්ධ ආරක්ෂක කවුන්සල සැසිවාරයටඑක්වෙමින් අමාත්‍ය හෙයිකො මාස් මේ බව පෙන්වා දී ඇත. This week in Incheon, the IPCC will finalize and release its most comprehensive and critical report on climate change for years to come. Its findings will show the profound impacts on human life and the decisive actions necessary to keep global temperature rise below 2 or 1.5 degrees Celsius. If the world as we know it is to survive climate change, this report is required reading for everyone. Sri Lanka is a biodiversity hotspot with an abundance of ecosystems and many endemic species. Its animals and plants are greatly threatened by human activity and the impacts of climate change, putting the world at risk of losing this irreplaceable wealth of wildlife. If we want to preserve Sri Lanka’s biodiversity, actions need to be taken on all levels: by the government, by academia, by NGOs, and by everyone living on the island and around the globe. 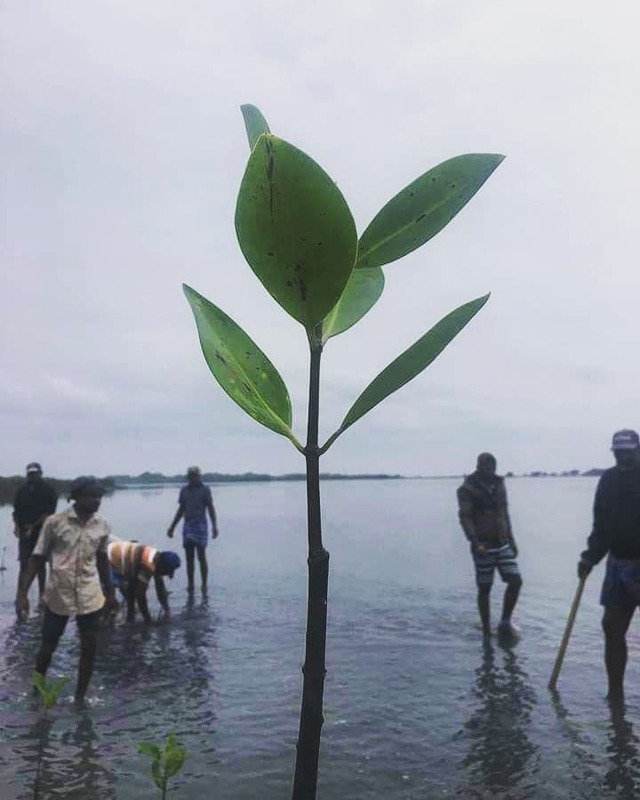 The Third National Communication (TNC) to the United Nations Framework Convention on Climate Change is presently being developed by the Ministry of Maheweli Development and Environment. The TNC is submitted to the United Nations Framework Convention on Climate Change Secretariat as part of the reporting mechanism on the actions taken by Sri Lanka to address the climate change impacts. Literacy is the ability to read, write and communicate effectively. It gives all individuals, regardless of their gender, community or society, the power to connect and understand the complexities of the world. 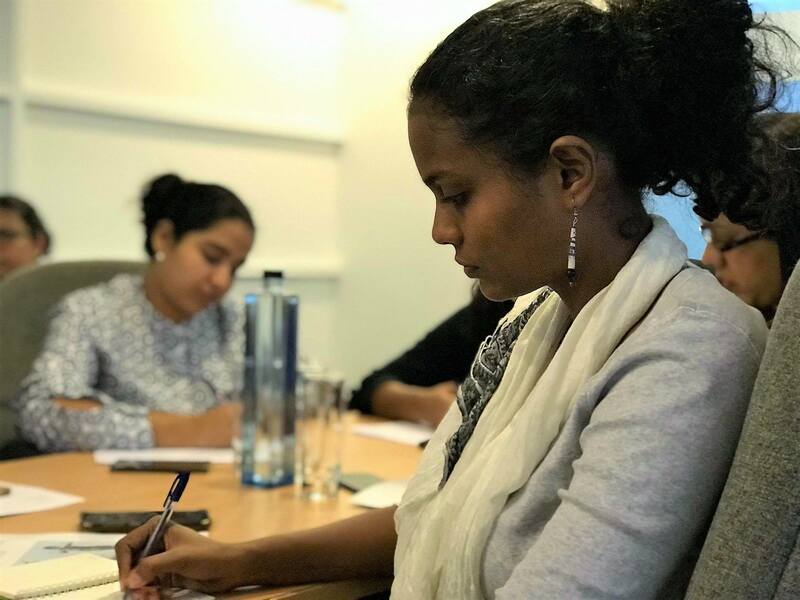 Women, who comprise half the world population, deserve special attention in enhancing literacy, owing to the historical inequities they have suffered through gender-based discrimination throughout history. 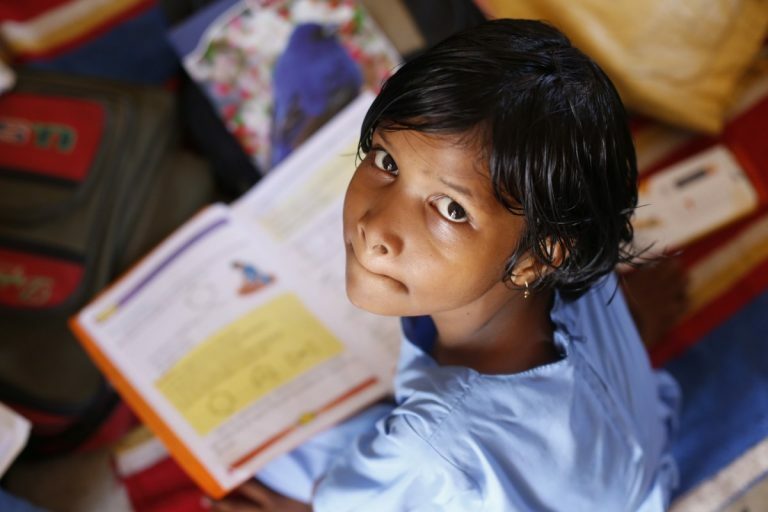 UNESCO quantifies this gender gap in global literacy rates by indicating that only 82.7% of women worldwide are literate today, as compared to 86.3% of men. However, this gap widens more in poverty-ridden regions like South Asia and Africa and therefore requires careful assessment. Literacy is the ability to read and write. More than that, it also grants access to knowledge and information in a broader sense. 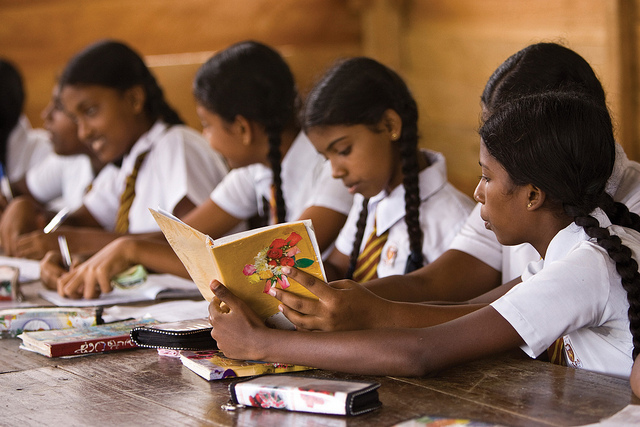 Literacy is empowerment, employability, security, and independence. It includes skillsets like digital and financial literacy, and it is an essential requirement for socio-economic development, self-determination, and effective participation in society and economy. 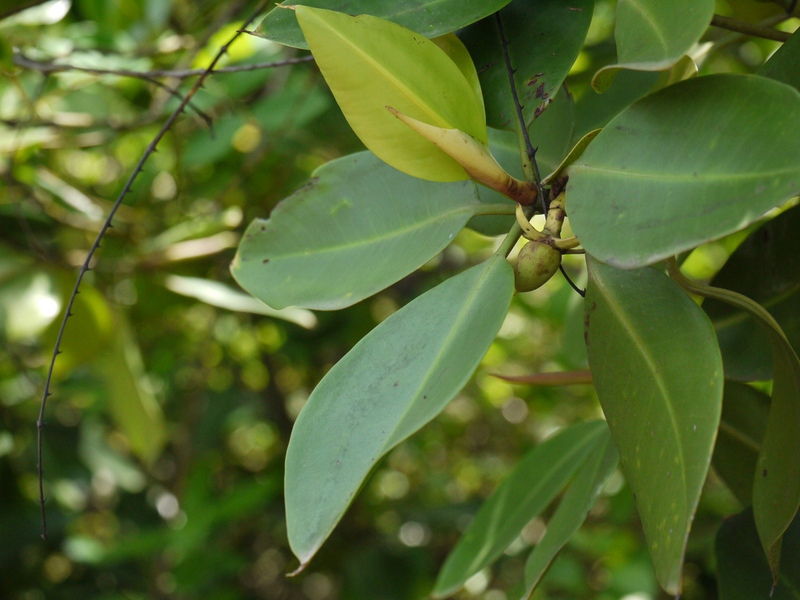 Mangroves are a valuable ecological and economic resource to Sri Lanka. According to the Forest Department, Sri Lanka is home to over 20 mangrove species which extend over an area of 15,670 hectares. However, mangroves represent only 0.2% of the total forest cover. Climate Migration: The New Wave of Refugees? Climate change is considered the greatest threat that Earth has to counter in this century. Due to intensified human activity and unsustainable use of the planet’s resources, the percentage of carbon dioxide in the atmosphere has increased while the planet’s ability to absorb the excess carbon dioxide has decreased due to the elimination and degradation of natural carbon sinks such as forests and oceans. This imbalance in the atmosphere has led to increased global warming over a long period of time, and scientists have confirmed the existence of climate change. In the past decade, extreme weather events have been triggered all over Sri Lanka, taking place more and more frequently and intensely. The severe drought conditions in districts such as Jaffna and Polonnaruwa have continued unceasingly since 2016. 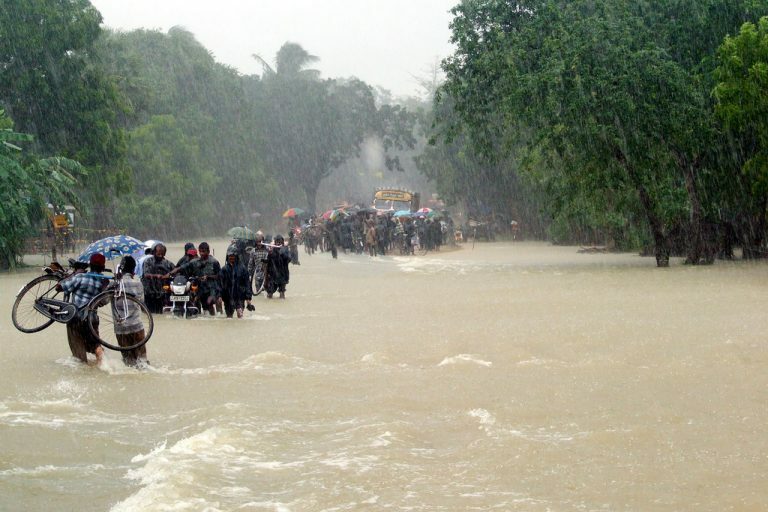 More recently, the intense floods experienced in May-June 2018 in most Southwestern and Central regions of Sri Lanka saw the displacement of tens of thousands of families. 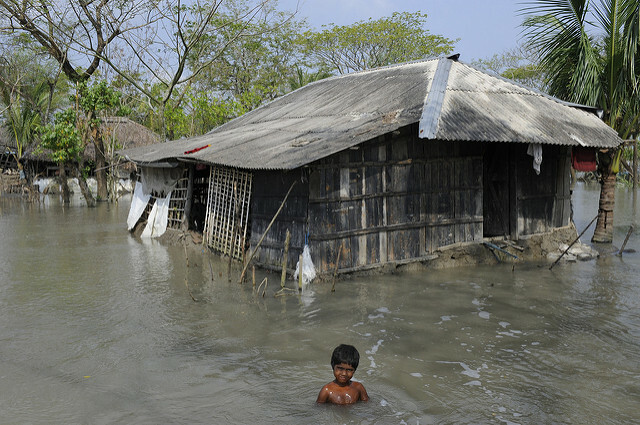 As climate change alters long-term weather patterns and leads to increasing droughts, floods, and storms, more and more people are turned into climate migrants and refugees. Oceans are the lifeblood of planet Earth and is vital to the survival of humankind. The ocean covers more than two-thirds of the Earth’s surface and it produces most of the oxygen that is needed for humans to breathe and contributes as a vital carbon sink by absorbing the most amount of carbon emissions in our atmosphere. 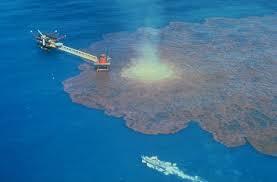 The ocean is also home to a fragile but rich marine eco-system which is an integral part of human survival. Oceans cover two thirds of world’s surface, and over 7.6 billion people directly or indirectly benefit from oceans around the world. Global fishery production is ever expanding, and according to the Food and Agriculture Organization (FAO), fisheries and aquaculture assure the livelihoods of 10-12 percent of the world’s population. Ocean resources can boost the growth of a country’s economy, but human activity also takes a toll on ocean health. Therefore, fishing needs to be carried out at sustainable levels, or fish stocks will deteriorate from overfishing and collapse. According to the World Wildlife Federation, if the world keeps fishing at its current pace, there will be no more fish left to eat by 2048. On April 12th, 2018, the United Nations General Assembly adopted a resolution that declares June 3rd to be World Bicycle Day. From 2018 onward, this day is dedicated to spreading awareness of the bicycle’s two centuries long success story, educating about its possibilities and benefits, and promoting its usage around the world. Ships move over 80% of global trade, which equals billions of tonnes of goods per year. Companies around the world employ a total of more than 90,000 merchant ships, including immense container ships, the largest moving things on earth. As part of the national celebrations for Earth Day 2018, the Marine Environment Protection Authority (MEPA) of the Ministry of Mahaweli Development and Environment, in collaboration with SLYCAN Trust, TNL Radio, Road to Rights International and Mount Lavinia Hotel organised a beach clean-up at the Mount Lavinia beach. 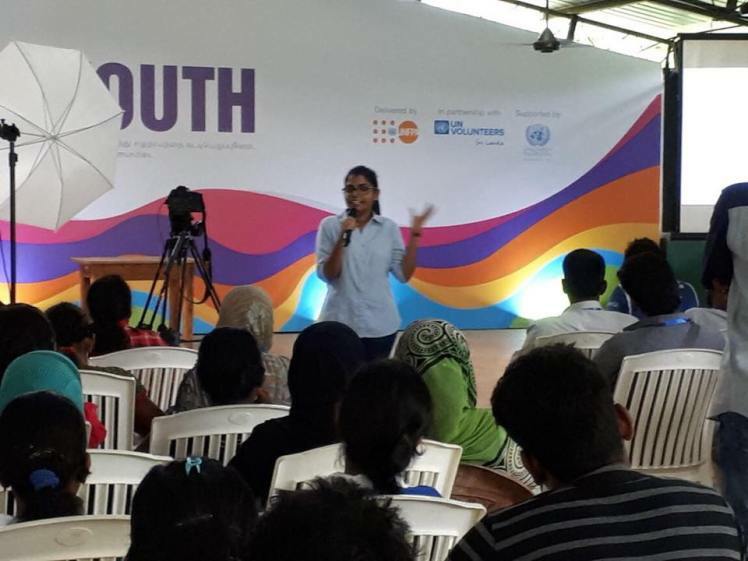 Government officials of the ministry, representatives of local civil society organizations, university undergraduates as well as volunteers from youth movements came together on the 22nd of April at Mount Lavinia Hotel premises to participate in this event. Forests have long been identified as one of the most important net carbon sinks that our planet possesses, as they absorb CO2 from the atmosphere, sequestering it in the biomass of trees and as soil carbon. As climate change is now an undisputed reality, the role that forests can play in mitigating the impacts of climate change are becoming ever more crucial. As an island nation blessed with small but significant tracts of tropical rainforest, Sri Lanka is an ideal location to study how land use changes and forest deforestation and degradation impact a forest’s capacity to act as a carbon sink. By conserving and managing the forests that remain, and reforesting areas which have been degraded, Sri Lanka can also add its own lion’s share to the global battle against climate change. NAP Expo has been organized by the Least Developed Countries Expert Group (LEG) under the UNFCCC since 2013, with the support and contribution of many other organisations and stakeholders with the objective of promoting exchange of experiences and fostering partnerships between a wide range of actors and stakeholders to advance National Adaptation Plans (NAPs). 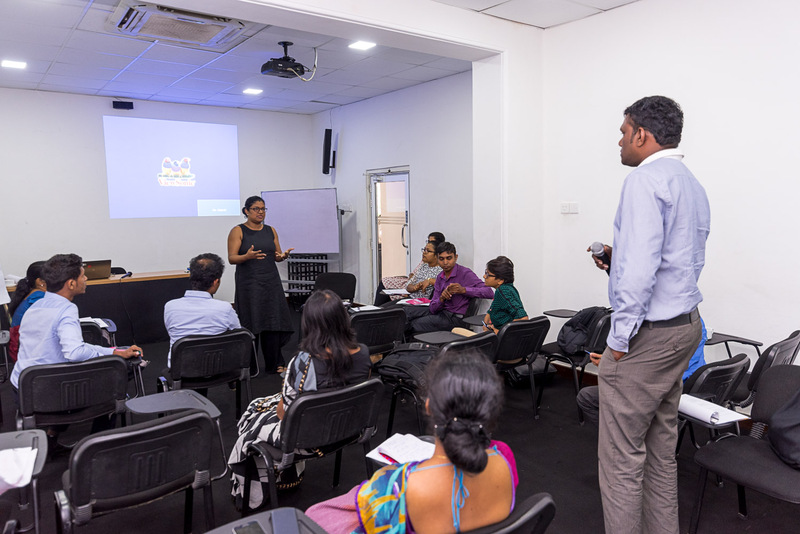 Autism awareness is growing in Sri Lanka, but it is growing slowly and only through the hard work of institutions, initiatives, and dedicated individuals. Does Nature have legal rights, and if so, what are they? How can they be formalised and claimed? And who should be able to enforce them? The theoretical debate about the rights of Nature has engaged philosophers, environmentalists, and lawyers for decades: now, it has reached the courtrooms and lawmakers of the world in a series of landmark decisions. Climate change renders women disproportionately vulnerable to its impacts as a result of persisting gender norms and discrimination. This is evidenced in terms of the impacts of climate change affecting scarcity of water, food security, disaster situations and fuel shortage, thereby having a drastic impact on women’s human rights as well as on gender equality. Moreover, the notion of women’s rights and equality is affected by the processes that seek solutions to address climate change. 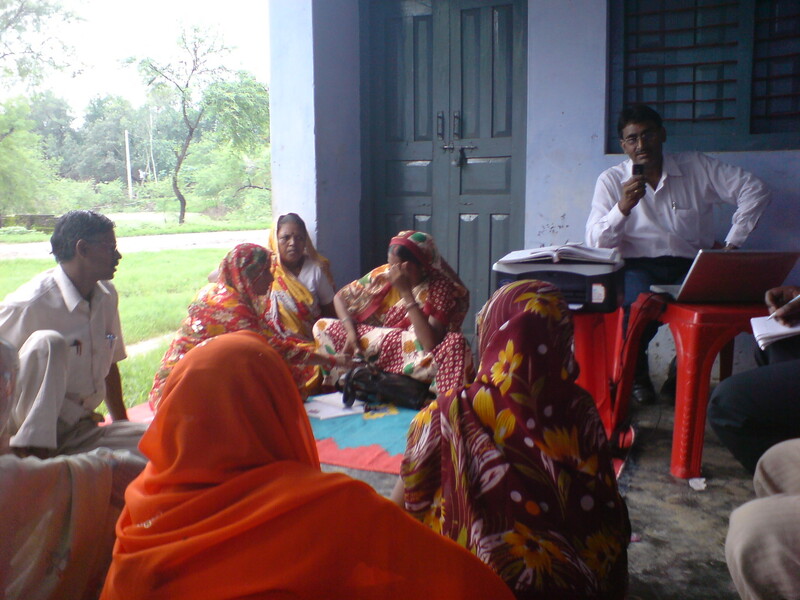 The manner in which the climate response processes are formulated in terms of inclusion and participation of women, as well the manner in which they are implemented on the ground-level will determine the iteration of women’s rights while also ensuring that the solutions themselves are holistic. Talanoa is a form of inclusive, participatory and transparent dialogue followed in the Pacific Islands to inform better decision-making and leadership. The Talanoa Dialogue 2018 is a part of the UNFCCC process inspired by this tradition, whereby unprecedented opportunities are available for both party and non-party stakeholders to the Paris Agreement to share their stories. Corporal punishment in any form is a violation of Human Rights. 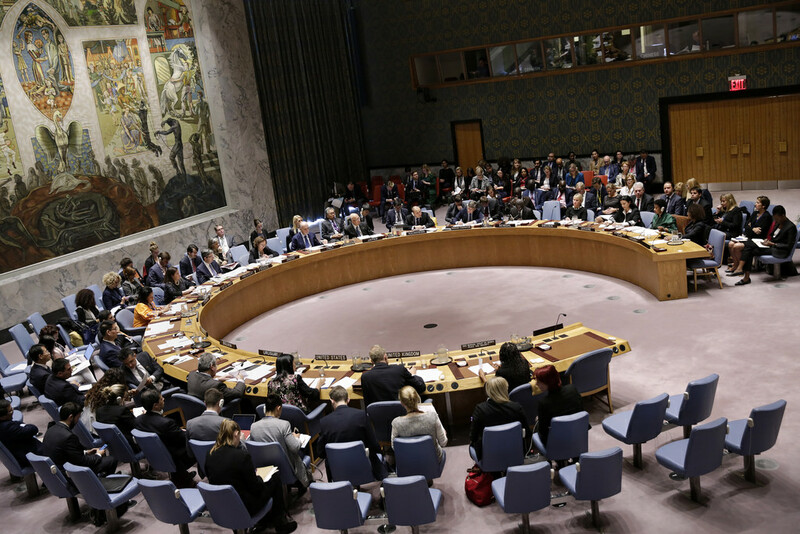 Banning corporal punishment was a main issue discussed at the recently convened meeting of the United Nations Committee on the Rights of the Child. While corporal punishment is used as a means of maintaining discipline, it is indisputable that it is a violation of the fundamental rights of a child. SLYCAN Trust organised a day of assessments for children with special needs in Hikkaduwa as part of its project titled Give a Voice. The project aims to provide assessments of communication skills to children with special needs (autistic, children with down syndrome), free therapy sessions for children with special needs from families with financial difficulties, empower children with special needs through skills development. After 3.000 years of largely unchanged global mean sea levels (GMSL), the oceans have begun to rise from the 20th century onward, encroaching higher and higher onto the coastlines of continents and islands and threating the livelihoods of millions (if not billions) of people. The reason for this is twofold and directly connected to the global warming caused by increasing greenhouse gas concentration in the atmosphere: the water warms up and expands (thermal expansion), and the higher temperatures cause glaciers and ice shelves (primarily in Greenland and Antarctica) to melt. The recent nabbing of a frozen pangolin in the kitchens of a Chinese restaurant in the heart of Colombo has shed a much-needed spotlight on the importance of curbing the illegal exploitation of these shy mammals which are a globally endangered species, and nationally a near threatened one. There are four species of Pangolin restricted to Asia. The one found in Sri Lanka is the Indian Pangolin (Manis crassicaudata), and is commonly called the Scaly Ant-eater (Sinhala: “Kaballawa”, “Aya”; Tamil: “Alungu”). 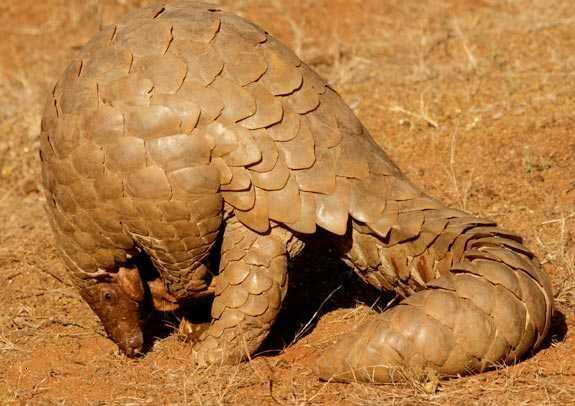 Pangolins can be identified by the distinctive scales which cover their entire body, and they are found in both the wet and dry zones of Sri Lanka. 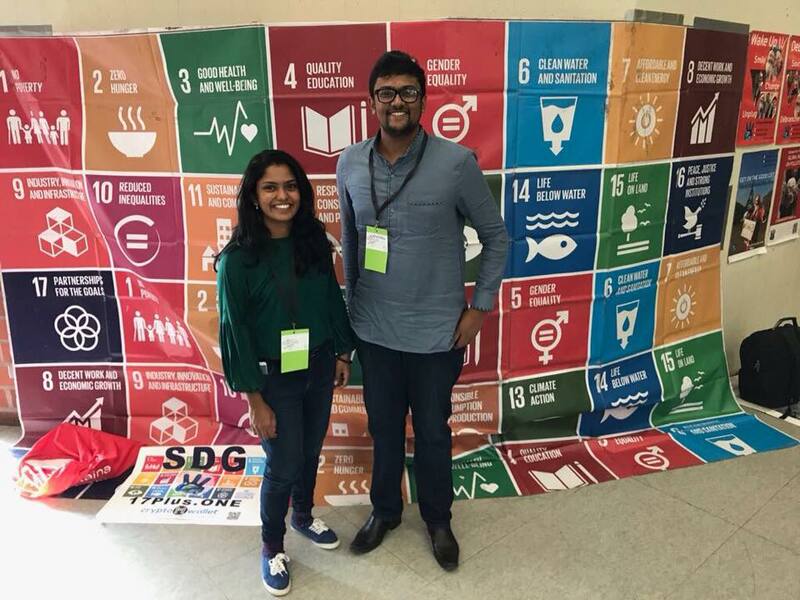 Creating a platform for the gathering of youth-led organizations, entrepreneurs and other individuals from Non-Governmental Organizations (NGOs), International NGOs and local groups, Peace Expo and Colombo Food Fest 2017 was able to enable a diaogue on peacebuilding, reconciliation and human rights initiatives as well as Sustainable Development Goals. The two day event was organized by the Ministry of National Integration and Reconciliation in collaboration with Road to Rights and UN SDG Action Campaign on the 9th and 10th of December in Colombo. 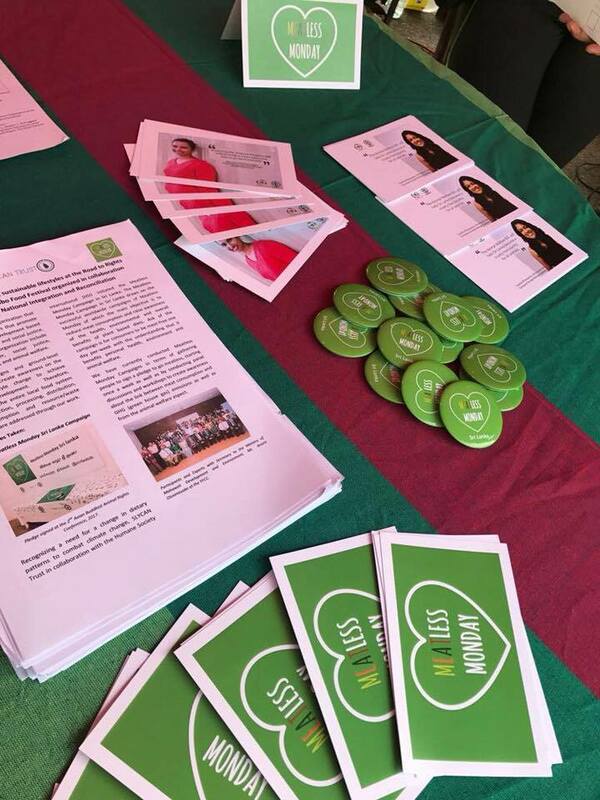 SLYCAN Trust was also present at the event promoting sustainable lifestyles with the Meatless Monday Sri Lanka campaign, calling for the adoption sustainable lifestyles to mitigate climate change effects. 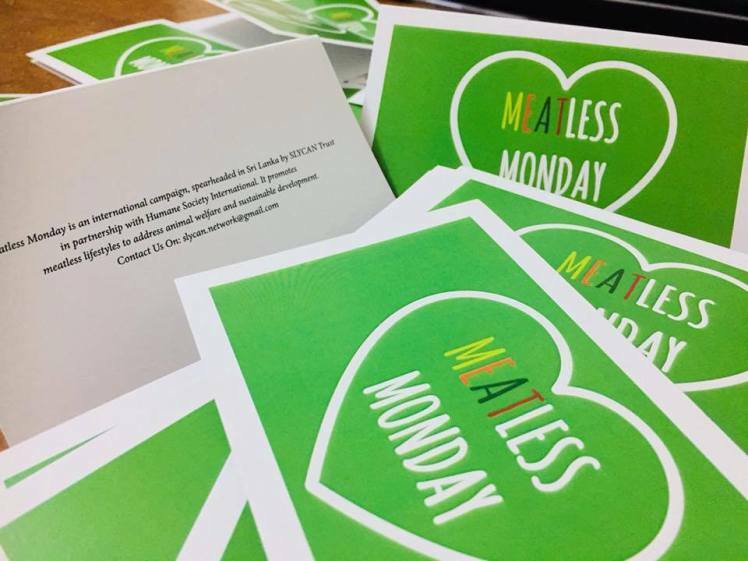 Meatless Monday Sri Lanka initiated in 2015 and has since grown leaps and bounds with the expansion of its outreach both on a national and international scale. 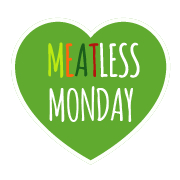 2017 has been a great year for Meatless Monday Sri Lanka, with the project reaching out to various like-minded organisations in diverse collaborations and partnerships to organise various events and campaigns with the aim of promoting meatless and humane lifestyles in Sri Lanka. 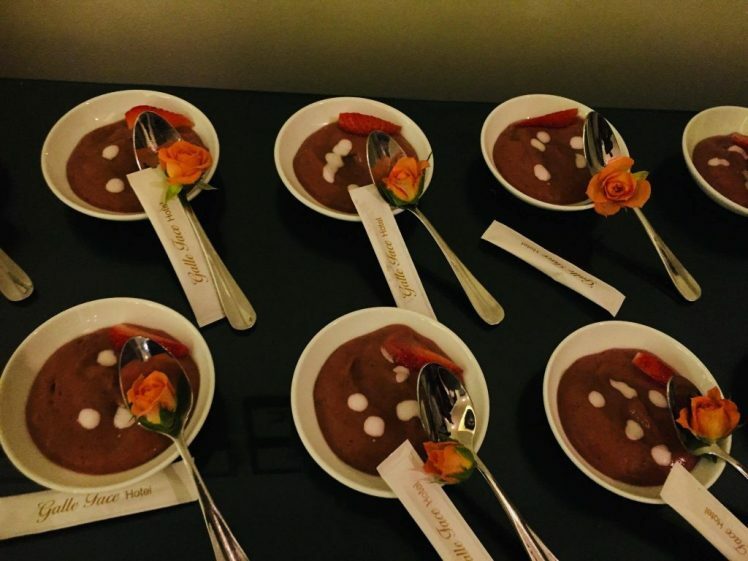 The Walk-In Vegan Culinary Workshop hosted by Galle Face Hotel, Colombo partnering with SLYCAN Trust and Meatless Monday Sri Lanka started off in style with Chef Tora introducing the audience to a number of easy vegan recipes. While demonstrating to the audience about the vegan recipes, Chef Tora explained the health benefits of the ingredients used. 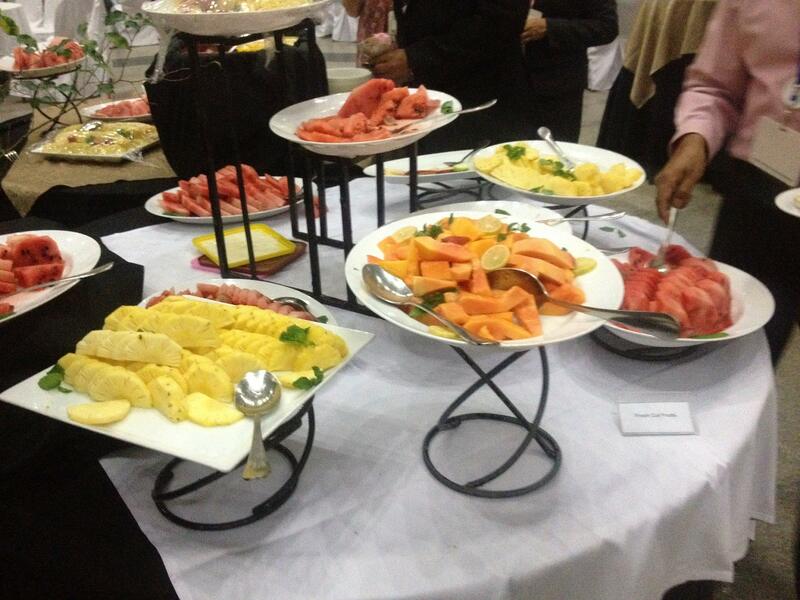 The workshop was conducted in a very interactive manner involving the audience in the preparation of the food. 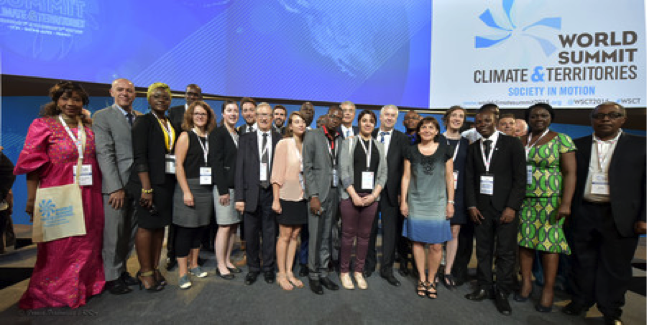 Two years after the UN Climate Change Conference that resulted in the historic Paris Agreement, French President Emmanuel Macron invited international leaders and committed citizens back to the city. At the One Planet Summit on December 12th, they addressed the urgency of taking collective action against climate change and the means of financing this action. 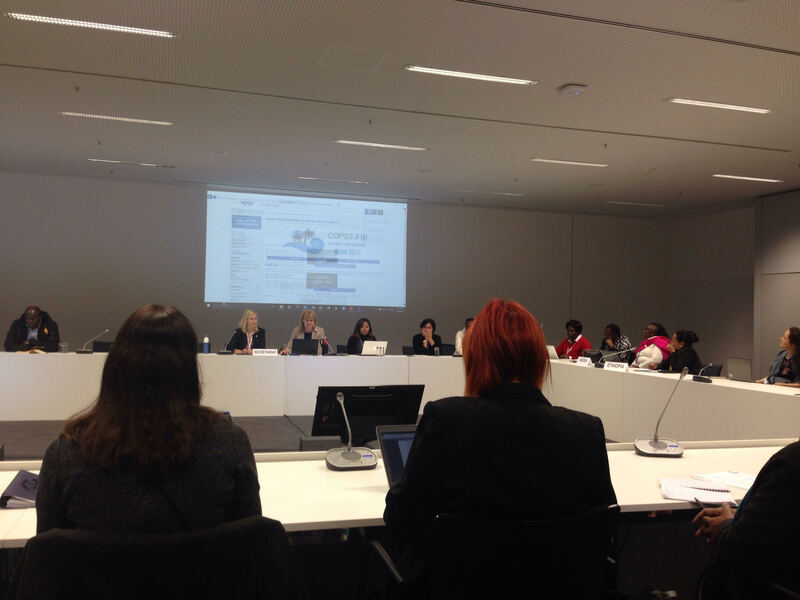 On the 14th of November, the first ever Gender Action Plan to the UNFCCC was adopted by Parties at the 23rd Conference of Parties (COP) of the United Nations Framework Convention on Climate Change (UNFCCC), making COP23 a landmark year in terms of gender-related mandates under the UNFCCC processes. Petrol’ has been the talk of the town since early November. The daily lives of the public have been disrupted with the rising traffic congestions and transportation issues. 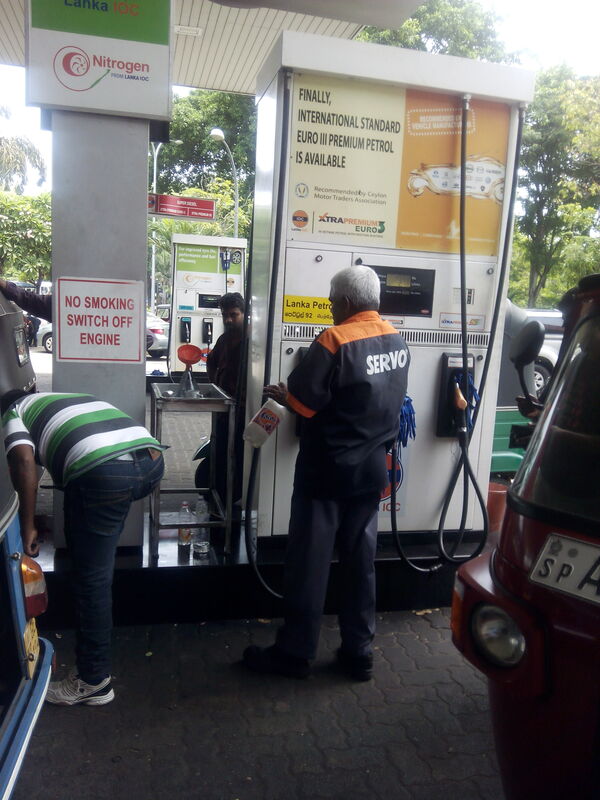 Vehicles have been queuing up at petrol stations fearing a petrol shortage since last Friday, creating traffic jams on the streets of Colombo, amidst the heavy showers. Chef Tora from Sweden has arrived in Sri Lanka for the Vegan Week 2017 organised by Galle Face Hotel, Colombo together with SLYCAN Trust and Meatless Monday Sri Lanka. Tora spoke today with the SLYCAN Trust team about her experiences as a food and meal scientist, giving us an insight into her meatless and healthy lifestyle. In light of the 23rd Conference of Parties (COP) to the United Nations Framework Convention on Climate Change (UNFCCC) taking place in Bonn, Germany, the UNFCCC Secretariat organised a session in order to provide an update on the work of the Paris Committee on Capacity Building and the implementation of its rolling workplan 2017-2019. 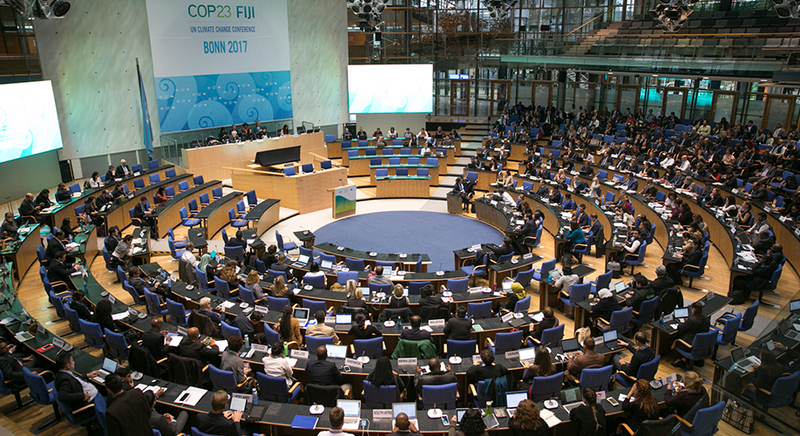 The session would be followed by further informal sessions and discussions during the duration of COP23. 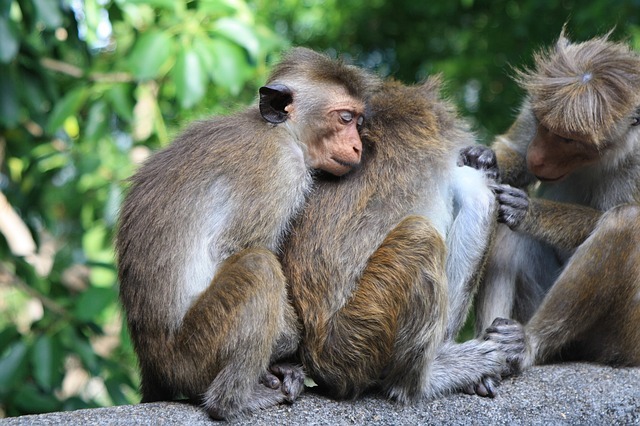 Human – Animal Conflict: Where lies the balance? Last week, in Gomarakandawala, a tiny village in the North-Eastern province of Trincomalee in Sri Lanka, we sat in a tiny house, enjoying a meal from very hospitable, generous people. Even as we ate, we heard firecrackers go off not very far away from us. The Green Climate Fund (GCF) one of the main financial mechanisms which responds to climate change actions launched its first gender guide to climate finance on the 29th of August, under the title; “Mainstreaming Gender in Green Climate Fund Projects”. The manual underscores the centrality of gender equality and provides guidance on how to include women, girls, men and boys from discriminated vulnerable communities into all aspects of climate finance. The manual is seen as the logical progression of GCF’s operations since its inception by the United Nations Framework Convention on Climate Change (UNFCCC) in 2010. 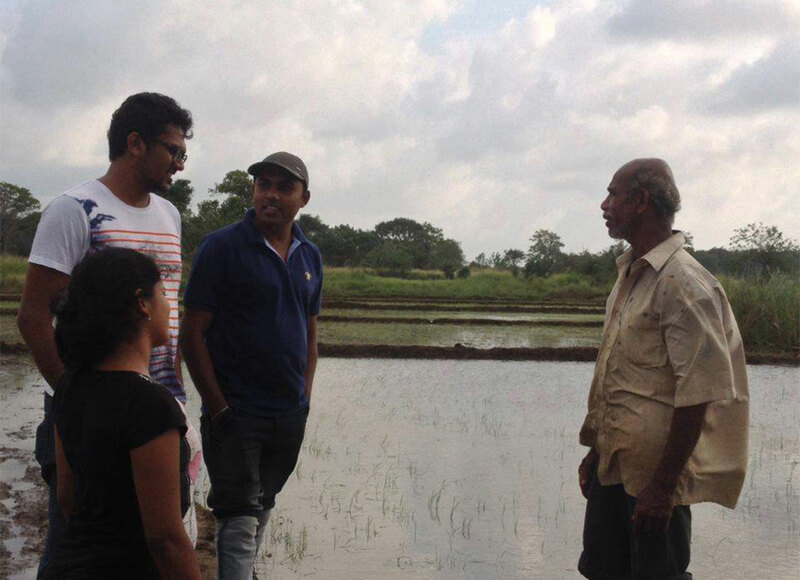 With the electoral manifesto of current president Maithripala Sirisena, which promised the formulation of a national policy that could face modern ecological challenges, the country’s drive towards sustainable development was instated. Further policy, action and activities carried out under the Maithripala regime since 2015, consolidated the nation’s position on sustainability and ecological awareness. Importantly, the Government’s vision for a ‘sustainable era’ was launched on 2 January targeting the achievement of 2030 sustainable development goals according to the declared objective of the Government on poverty elimination. During the Presidential election 2015, president Maithripala Sirisena announced his manifesto under the theme of compassionate Maithri governance, a stable country”. In the chapter 10 of the aforesaid, he promised to meet the basic energy needs through renewable energy. The manifesto also included among others protecting against rising of imported fuel prices, inclusion of environmental factors in decision making, building biomass power plants and benefiting rural communities. It also mentions removing subsidies for fossil fuel and supporting renewable energy with the President’s policy statements emphasizing the obtaining of long term concessionary loans for clean energy from global funds. සත්ත්ව සුබ සාධන පණත් කෙටුම්පත මේ වන විට නීති කෙටුම්පත් සම්පාදක දෙපාර්තමේන්තුව මඟින් සිදු කරන ලද සංස්කරණ වලින් අනතුරුව මේ වන විට පණත භාරව කටයුතු කරන, ග්‍රාමීය කටයුතු අමාත්‍යාංශය වෙත නැවත යොමු කර ඇත. වසරකට පමණ පෙර මෙම පණත් කෙටුම්පත සඳහා කැබිනට් අනුමැතිය ලැබුණු අතර බොහෝ කලක් තිස්සේ ප්‍රමාද වෙමින් පැවතුණු සත්ත්ව සුබ සාධන පණත අවසානයේ පණත භාර අමාත්‍යාංශය හරහා යම් ප්‍රගමනයක් ලබා ඇත. 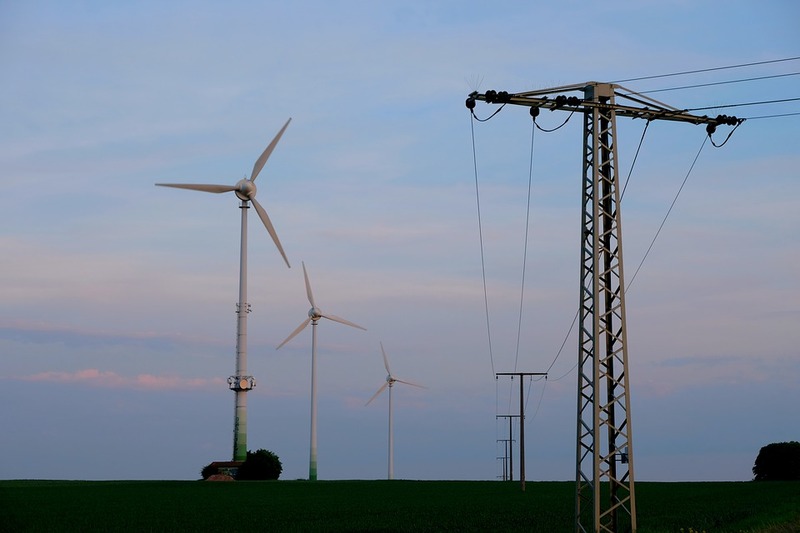 Ministry of Power & Renewable Energy of Sri Lanka has introduced the draft of the National Energy Policy for Sri Lanka for public comments. This is introduced as a step towards Sri Lanka’s move to sustainable energy as part of achieving the Sustainable Development Goals (SDGs). 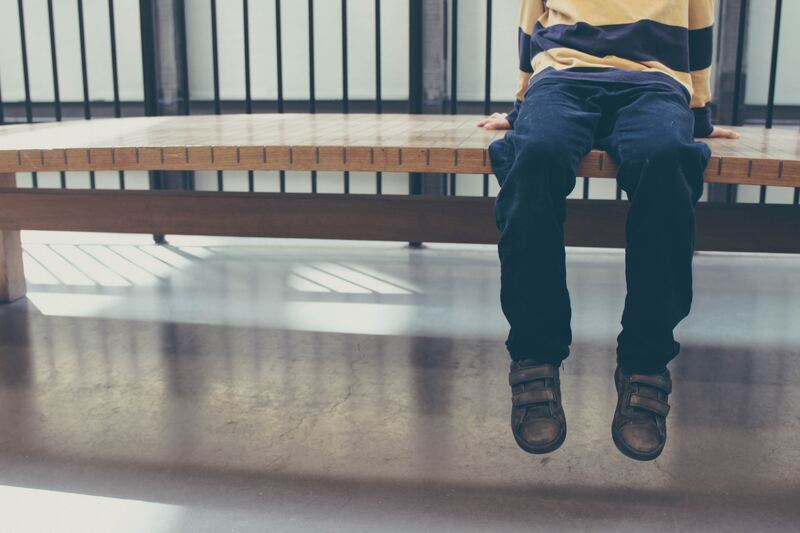 For every school in the world, chances are high that at least one attending child has been (or could be) diagnosed with Autism Spectrum Disorder (ASD). Many regular schools struggle with the challenge to include those children into their daily routines, while others have special personnel, training and facilities to accommodate them. If autism isn’t properly diagnosed or teachers aren’t properly trained, autistic children might be seen as merely lazy, inattentive, clumsy or stupid, resulting in frustration and insufficient encouragement of their interests and abilities. AUTISM is everywhere today. 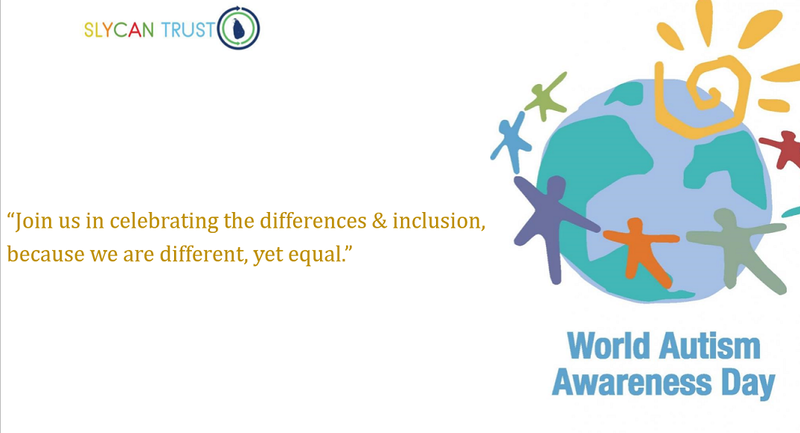 From international events (World Autism Awareness Week 2017 goes from March 27th to April 2nd), special schools and parental support groups to an increasing representation in media (“Sesame Street” just introduced Julia, an autistic muppet with an inclination toward music, “Rain Man” won four Oscars), autism cannot be overlooked. 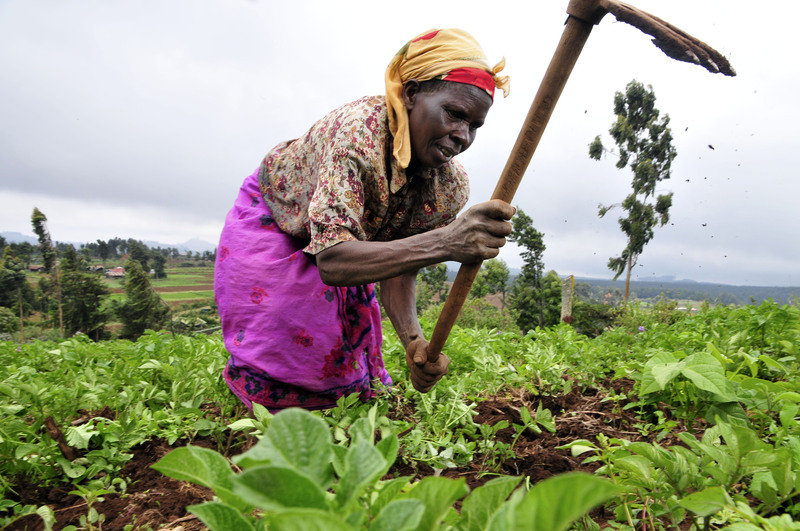 Agriculture is one of the main sectors impacted by the impacts of climate change and its effects are very much felt due to the dependency on the natural resources that this livelihood has. Among the impacts on the agriculture sector are the impacts of the slow onset events of climate change. At present, climate change has become one of the major challenges faced by mankind. In view of the adverse impacts of climate change, cuts in global emission levels are considered to be an imperative and immediate need. The Food and Agriculture Organisation of the United Nations (FAO) has noted that livestock supply chains, the meat production industry in particular, are among the most significant contributors to climate change with emissions estimated at 7.1 gigatonnes CO2-eq per annum, representing 14.5 percent of human-induced GHG emissions. 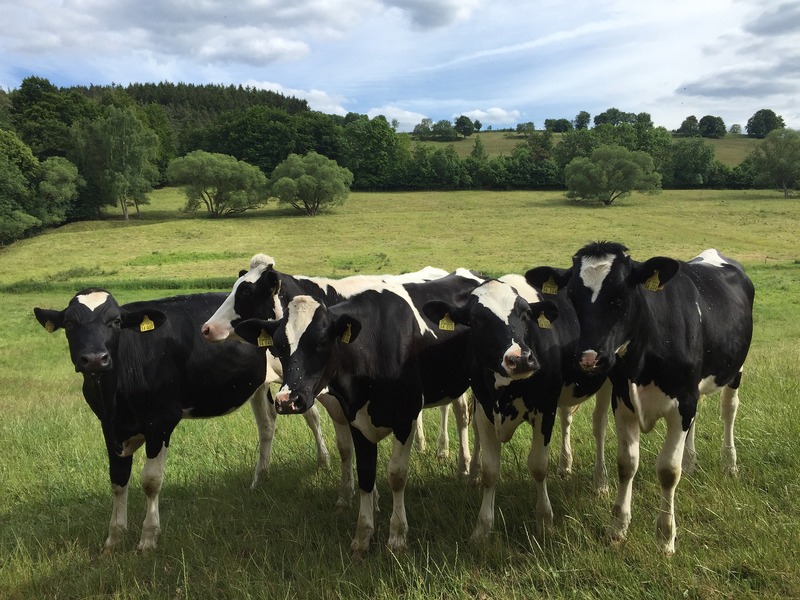 In addition, animal agriculture also results in more dire consequences as seen in the deforestation for grazing purposes, the loss of biodiversity, and pollution of water sources due to animal waste disposal. 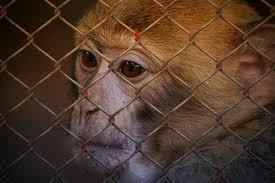 There is an ongoing attempt at restructuring Sri Lanka’s archaic Prevention Of Cruelty to Animals Ordinance of 1907, which has many loopholes and is deemed highly ineffective at tackling animal cruelty issues in Sri Lanka. The 8th consultation on the Animal Welfare Bill took place with a wide sectoral representation from the government as well as civil society actors which included parliamentary members, representatives of various NGOs and youth delegations, lawyers, journalists and animal welfare advocators. Parliamentary member, Venerable Athuraliye Rathana Thero graced the occasion to address the furthering of the Bill on Animal Welfare. SLYCAN Trust and Member of Parliament Venerable Athuraliye Rathana partook at a symposium on “Mindful Eating” organised by Humane Society International in collaboration with IOGT VIỆT NAM and GIÁO HỘI PHẬT GIÁO VIỆT NAM held at the Vietnam Buddhist Institute of Hanoi. A few of the key speakers at this event including Ven. Thero were, Khenpo Wangchuk of Bhutan, founder of Jangsem Monday in Bhutan Karma Dendup and Humane Society International – Farm Animals Asia Pacific Programme Manager Robert Lucius. The symposium was also an opportunity for Kavindu Ediriweera from SLYCAN Trust to present its recently initiated Meatless Monday campaign. With global attention focused on the implementation of adaptation activities to address the impacts of climate change and efforts towards climate-resilient development, economic diversification has been viewed as a means of a country’s drive towards sustainable economic growth and stability. It is defined as the process wherein a growing range of economic outputs is produced. The Sustainable Development Goals comprising 17 goals with 169 targets for the years 2016-2030 are being debated on the extent to which it provides prominence to youth. The Open Working Group (OWG) of the General Assembly, comprising of 30 member states prepared the framework of the SDGs. They have recognized the fact that youth is one of the major groups that is central to the development of the SDGs that constitutes “The Major Groups” which are expected to facilitate the representation of all facets of society. At the beginning of the new millennium in 2000, world leaders gathered at the United Nations and formed a framework to combat poverty in its all dimensions and translated this vision into eight goals, named the Millennium Development Goals (MDGs) that were to be achieved by the world within a period of 15 years. Nations were to use the MDGs as a basis for their policy formulations. Substantial progress has been made by 2015, where the world has been able to realize the first MDG of halving the extreme poverty rate, for instance. The world population of youth, within the ages of 10-24 amounts to1.8 billion in a world population of 7 billion people, as documented by the UNFPA state of world population 2014. The effect of the emergence of a large population of youth depends on the manner in which a government regards their youth, which could either be as a liability that demands more resources or as problem solvers and change agents of the future. Climate change is one of the key challenges that has united the countries around the globe. With impacts that affect everyone in the world, it is not a question for one group of society, but all living on the planet. According to the World Youth Report: Youth and Climate Change, addressing and adjusting to the changes of climate change is one of the “defining features of the future of today’s youth”. World Summit Climate & Territories (WSCT) is an important event in the global agenda for climate change in 2015. It is the main gathering of the subnational and local governments and other non-State actors in the discussions to COP21 in Paris. 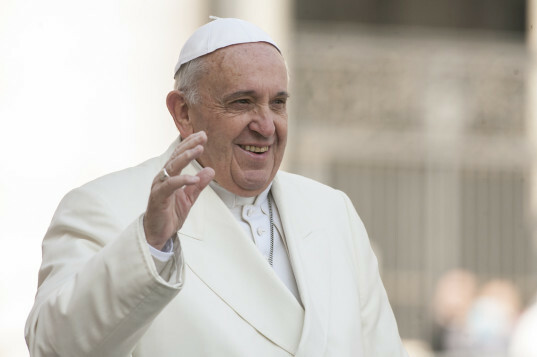 Pope Francis invoked a new argument for collaboration between science and religion to combat human induced climate change, through the much awaited encyclical on the environment, which was released on June 18. The encyclical was issued at a crucial juncture, six months away from the 21stConference of Parties of the UNFCCC to be held in Paris which is aimed at creating a new agreement on climate change. 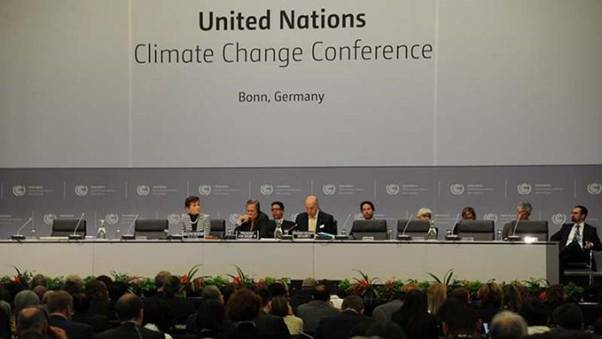 11, 2015 was the concluding day of the UN Climate Change Conference. There were three facilitated groups under the ADP (Ad Hoc Working Group on the Durban Platform for Enhanced Action) on adaptation; loss and damage; transparency; compliance and implementation. Later during the day, the ADP contact group convened to discuss the proposal of the Co-Chair on the work ahead, and thereafter the Co-Chair of ADP; Ahmed Djoghlaf gaveled the ADP plenary to a close. The facilitated groups under the ADP convened on: work stream 2 (pre-2020 ambition), general/ objective and implementation and compliance; mitigation and finance; along with procedural and institutional provisions. There were also informal consultation under SBI and the SBSTA. 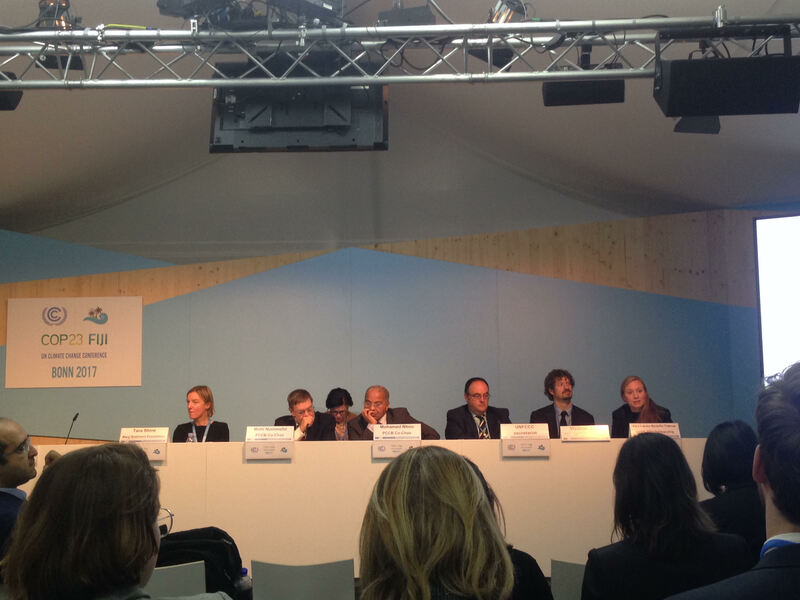 Negotiations on Monday commenced the final week of climate talks. The ADP Group considered the progress made thus far and began negotiations on a draft decision 1/CP.21. The negotiations picked up the pace in addressing more substance related issues, political questions and the potential structure for the new global climate agreement. The focus was placed upon a more concise, tailored and manageable draft of the Paris Agreement. The Meatless Monday Sri Lanka campaign is being implemented by SLYCAN Trust since 2015. 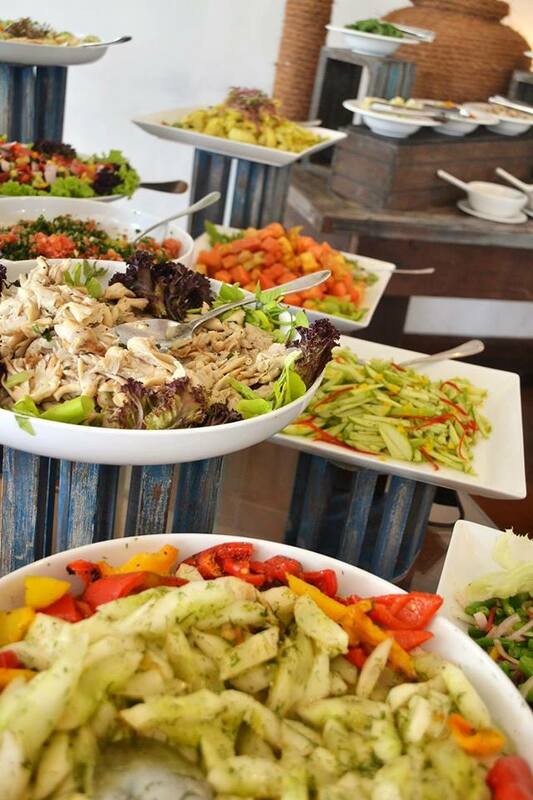 It focuses on sustainable food consumption to address the impacts of climate change, promote animal welfare, and achieve sustainable development. 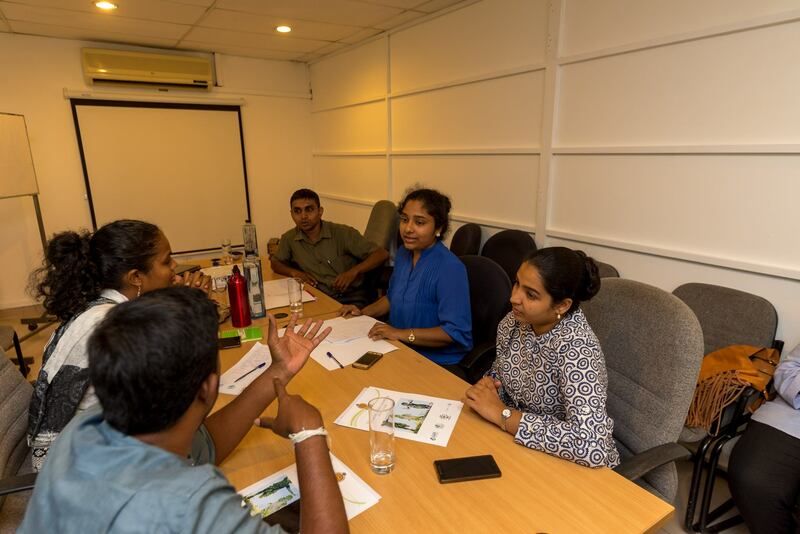 The research project "Implementation of NDCs for Renewable Energy in Sri Lanka" focuses on identifying gaps in policies and regulations in Sri Lanka to implement the country's Nationally Determined Contributions (NDCs) for renewable energy, with a primary focus on solar and wind energy. Under the United Nations Framework Convention on Climate Change (UNFCCC), all parties submit regular national communications on their climate policies and actions as part of the overall reporting system. 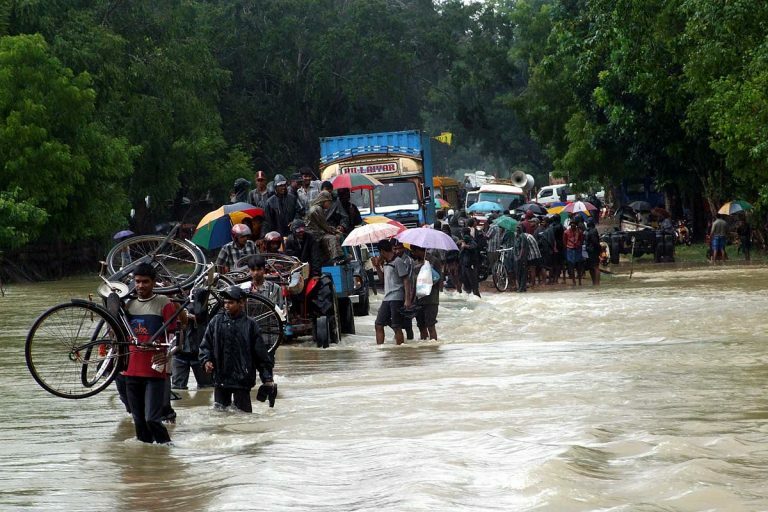 The research project "Study on Linkages between Managing Disaster Risks in the Long Term and Building Resilience to Climate Change for Greater Policy-Making Coherence" focuses on the links between managing disasters risks and building resilience, as well as the need for coherent policies to address them both. 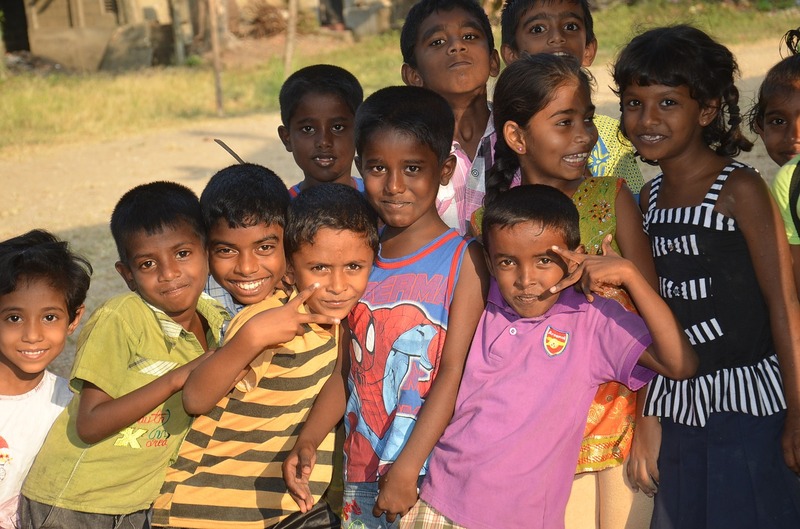 This research project focuses on the implementation of Nationally Determined Contributions (NDCs) of Sri Lanka, Nepal and Bangladesh. Mangroves are a vital component of our biodiversity. 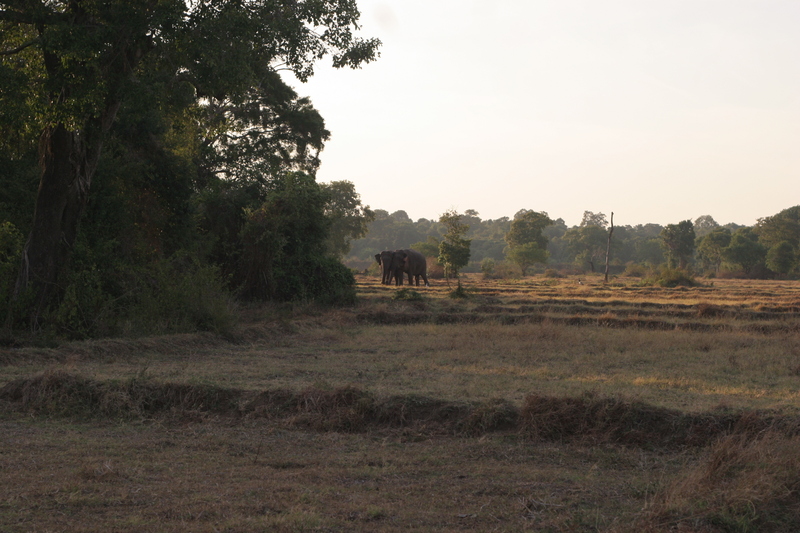 They are impacted by climate change, and human activity which threaten their survival. 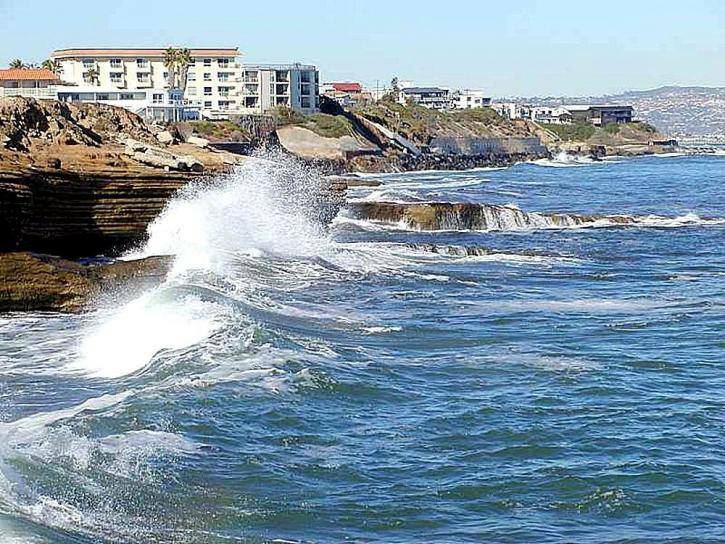 However, they are also protectors of our coastline, ecosystems and contribute to generative economic benefits to coastal communities. 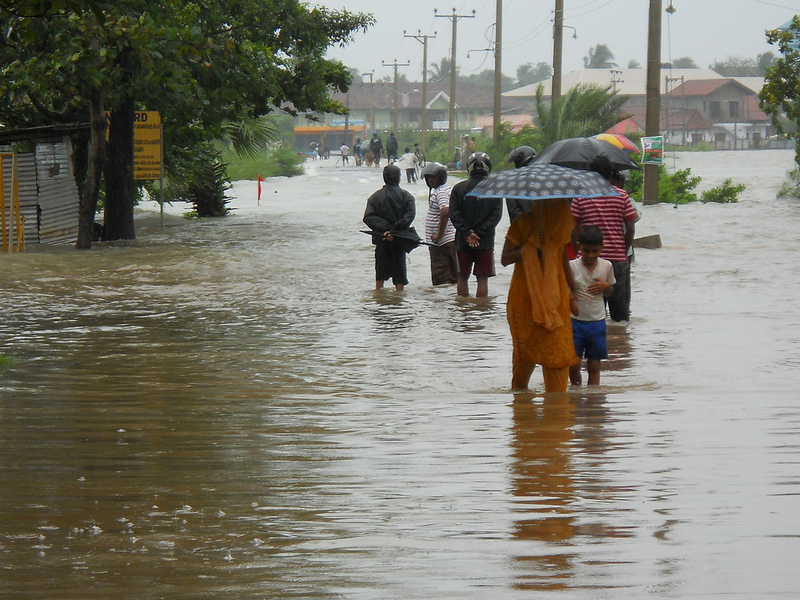 Climate change impacts threaten agriculture and food security in Sri Lanka. 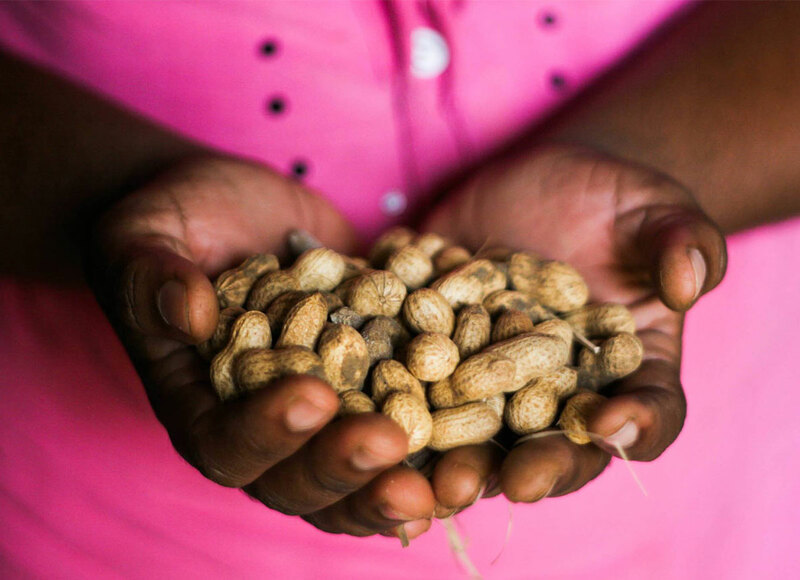 With impacts of floods and droughts experienced the last decade, many agriculture communities are highly vulnerable and unable to carry out their livelihoods. 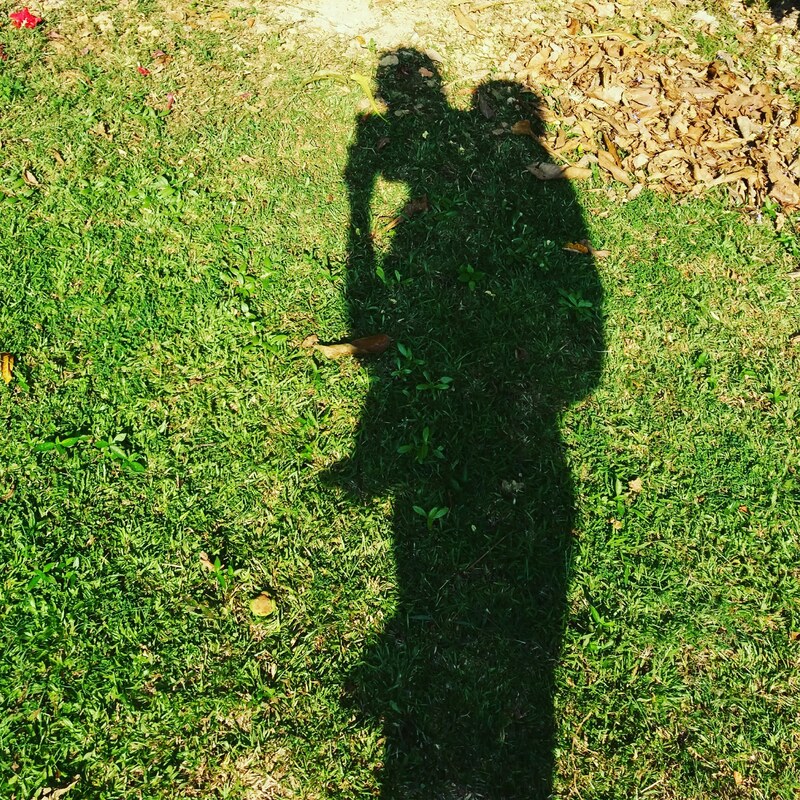 Youth are a key stakeholder in addressing impacts of climate change. 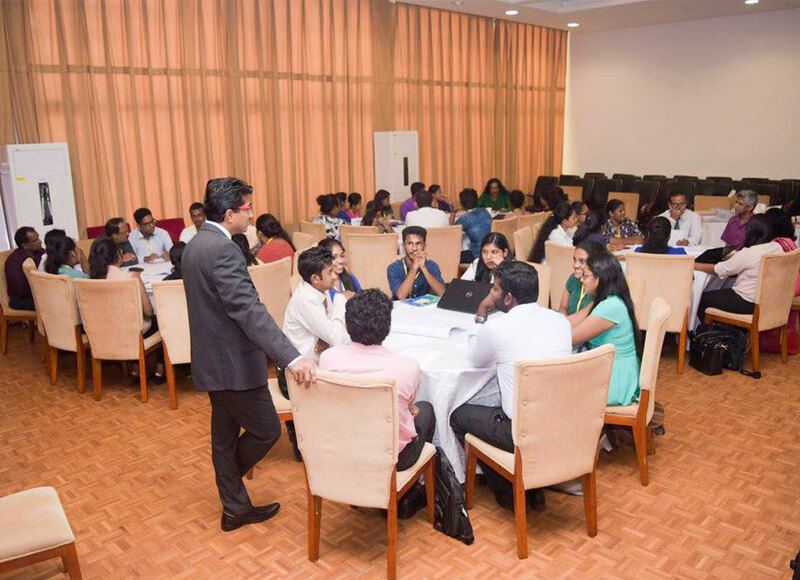 To build the capacity and empower youth at national, regional, and international level, SLYCAN Trust organises the Global Youth Forum on Climate Change, which is held annually as part of Sri Lanka NEXT Conference, organised by the Ministry of Mahaweli Development & Environment of Sri Lanka. Climate change impacts are spread across all sectors, and among these one of the most impacted is the agriculture sector. 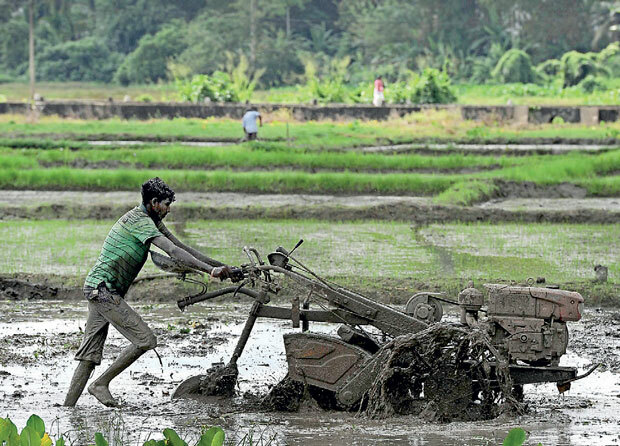 With regular floods and droughts creating adverse impacts on their livelihoods, the farmers are forced to move away to urban areas to find work to support their families. Risk transfer is one of the key ways of addressing losses and damages that are caused by different hazards. However, risk transfer mechanisms are not accessible to all. This includes the most vulnerable to climate change.